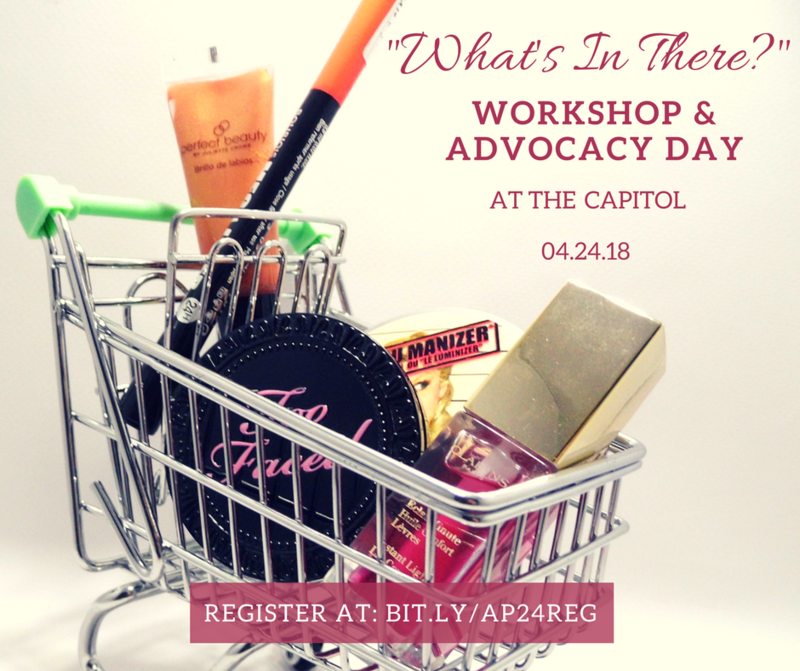 “What’s In There?” Workshop and Advocacy Day is less than a month away! Don’t wait – register here. We can protect our health and the environment by requiring full transparency about, and safe alternatives to, toxic chemicals in products. We invite you to come to a FREE workshop and advocacy day (lunch included). Space is limited. Please register today at: bit.ly/Ap24reg. Children of all ages are welcome.